Elizabeth Holtzman appeared on MSNBC’s Weekends with Alex Witt, discussing Trump’s presidential pardons and their potential implications. Following Trump’s decision to grant a full pardon to Dinesh D’Souza, experts expect similar decisions to come out in the year ahead. 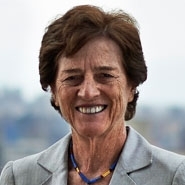 Holtzman drew parallels between Trump’s pardons and Nixon’s during Watergate, saying, “In Watergate, President Nixon offered pardons to the Watergate burglars to keep them quiet, it was a quid pro quo.” She added that the president can’t and shouldn’t use his power to commit a crime, and obstruction of justice is certainly an impeachable offense.